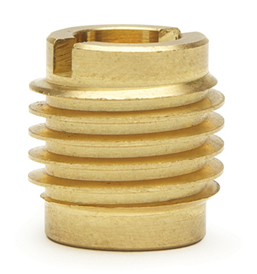 E-Z Knife™ inserts are most often machined out of brass when internal thread sizes range from #4 to 3/8 or M3 to M8. 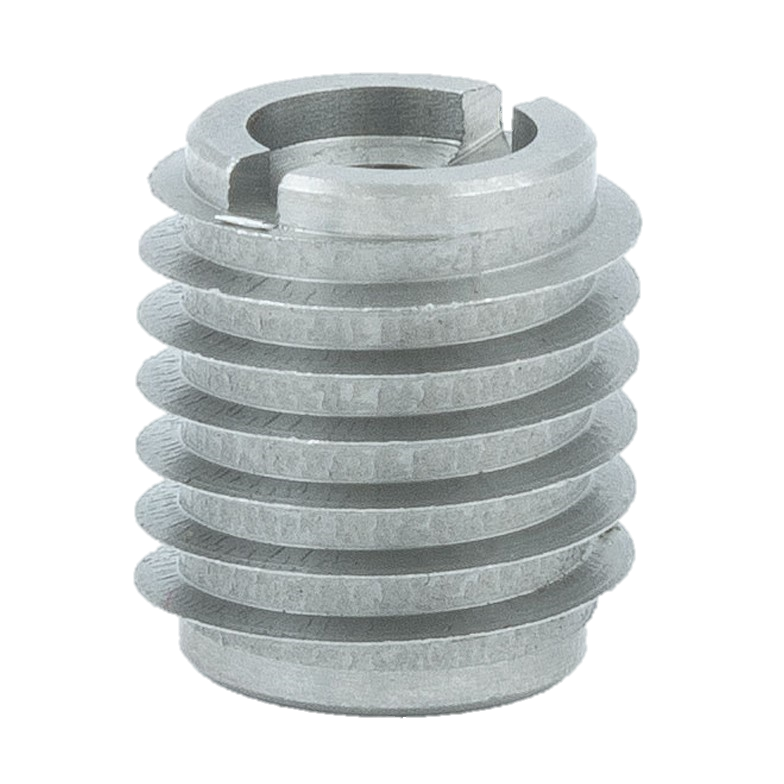 For additional corrosion resistance, stainless steel knife thread inserts are used with 8-32, 10-24, and 1/4-20 internal threads. 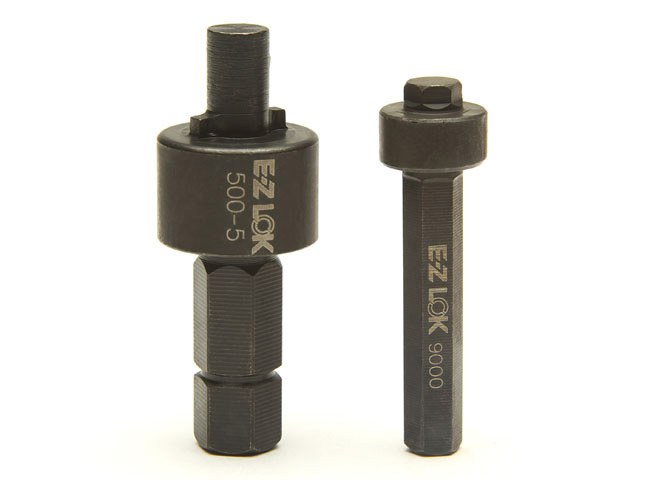 • For particularly hard wood – or if there is difficulty getting the hard wood insert to thread-in straight – a drive tool can be made with full thread engagement for maximum control during installation. • Hard wood insert hole size requirements may vary depending on a variety of factors, including material and tools. We recommend that you test your application before ordering. We will gladly supply free hard wood insert samples.